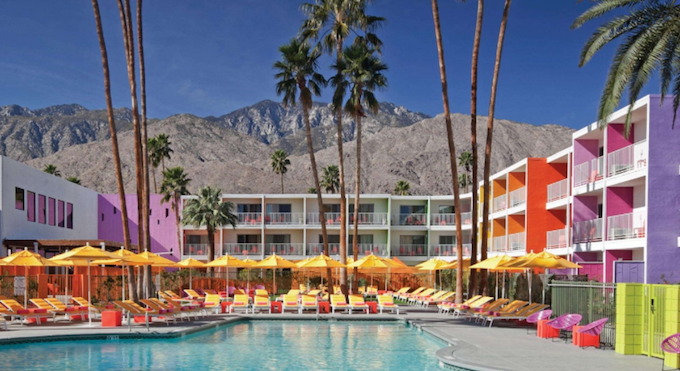 Next week, I am jetting off to ALT Summit in Palm Springs. I'll be joining Annette Joseph, editor and stylist extraordinaire, and I can only imagine the fun we'll get into. I've only been to California once, and while I am thrilled to be headed there again, I've been a little anxious about packing. I want to fully embrace the Palm Springs vibrancy and elegance, so I've been staring at my wardrobe for days trying to determine what to bring. Days will be filled with the conference while evenings will be all about cocktail parties and chic dinners. There's also a chance of laying by the Saguaro's amazing pool and kicking off the day with early morning yoga, so I'll be adding a few lounging looks, too. The good news is since it's Palm Springs, usual rules fly out the window. I'm bringing all the white pants and open toed shoes I can, and don't even get me started on all of the accessories I'm tossing in. 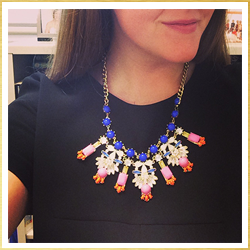 I am for sure packing a ton of Empire State Finery necklaces and earrings (this one, this one, and these are my top picks). I think they'll blend right in with the Palm Springs vibe. I'm also bringing my favorite gold Hazen earrings. You can never have too many accessories, right? I *think* I've finally narrowed down my clothing choices, too and I thought it might be fun to share them with you today. My goal is to pack super lightly because I'm carrying-on for no reason other than it helps my anxiety levels. Is there anything I'm missing from the items below? Tell me if I am! P.S. Pretty sure these same rules apply for Sea Island which is where I'm headed a week after I get back from Palm Springs. I'll be attending the Southern C Summit! Here are some very useful products which are awesome for my family.